I was raised in a traditional modest Chinese household where strong emphasis was placed on family values, filial piety and striving for a good education. It was, and still is, most Chinese parents’ dream to see their children succeed in life by becoming a doctor or a lawyer or an engineer, and luckily for me, I myself wanted to study medicine. How apt. My parents are proud that I became a doctor and have a good job with stable income and am contributing back to society, but they would be happier if I would one day run my own private practice in comfort. I followed the streamline to a tee – medical school, completing internship, doing specialty program, rural district posting and planning to go into subspecialty training. This was the expected and conventional route. But somewhere along the line, towards the end, I deviated, much to my parents’ despair. I became an anomaly. I still remember, one very ordinary day a year ago, while having brunch with my mother and siblings in a café, I excused myself to take a call…and 45 minutes later, I came back and announced that I was accepted by MSF and would be going to the field in a month or two. My mother asked me what MSF was, and when I told her Doctors Without Borders, she thought I was joking. My sister and brother were excited. As soon as my mother realized I was not joking, she started to worry. And over the next weeks, she tried to dissuade me from going on mission. Subtly. From obvious reasons such as “Why put your life at risk?”, to completely irrelevant ones (when she ran out of solid reasons) such as “You won’t be able to wear your pretty work-dresses anymore!” (I do have a cupboard filled with nice dresses that I wear to work!). But never once did she stop me from going out right. My father, on the other hand, is the traditional Asian patriarchal figure – a man of few words. So we never discussed this topic. And then it got more real. I was proposed a mission and I accepted it -- Sierra Leone. At that time, the Ebola outbreak had not reached Sierra Leone so I decided not to worry them unnecessarily. And so I left. With blessings from my family and closest friends, I went to Africa for the first time and embarked on my first humanitarian mission – something which I had wanted to do for a very long time. Of course, in a matter of months, the Ebola outbreak ravaged Sierra Leone and it became an international agenda. My parents who probably have never known what Ebola is, and never needed to know, were now reading news articles on Ebola and Sierra Leone from halfway around the world and worrying about their daughter, who was there, because she decided to deviate from normal. I returned home safe and sound, much to their relief. But the relief was short-lived. Two months later, I left for a mission in Khost, Afghanistan. This time, the leaving was easier, for me, but I’m not sure for them. I was worried initially about my parents’ reaction when I told them I would be leaving for Afghanistan, but they were surprisingly calm. Perhaps they had no idea what to expect. For one who has never been to Afghanistan, what images would your mind conjure up when you hear Afghanistan? Vast, dry, barren land? War-torn villages populated with armed personnel? Children flying kites in the windy plains? 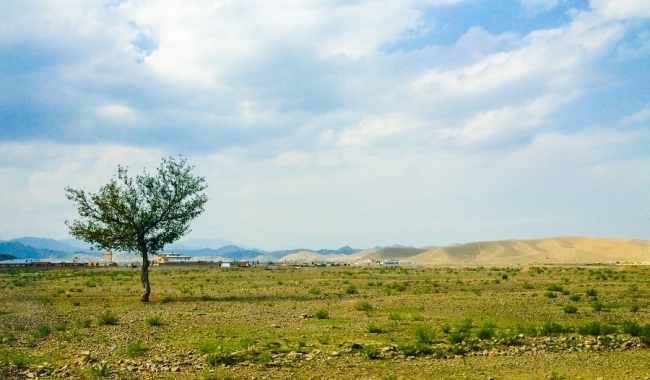 For many, Afghanistan is perceived as a dangerous place to be, where shootings and explosions and kidnappings are not uncommon and the risk of being there is potentially a risk to your life. In many ways, this is the truth, and yet, not the whole truth. Amidst the chaos of sporadic explosions and shootings and security incidents, there exists a calmness and normalcy of life, which one may not see. But being here, now, the people are not just Afghans to me; they are friends, colleagues – someone who laughs with you as she teaches you Pashtu over tea, someone who brings your shoes to the market to be fixed because you cannot go outside, someone who brings you an Afghanistan flag pin because she knows you collect magnets, someone who invites you to their house for tea repeatedly even though she know you cannot go, someone to share ideas with over how to take better care of the babies of Khost, someone to share a joke and a hearty laughter with – these are individuals who have extended their kindness and friendship to a complete stranger and welcomed her into their land. So these are the things I share with my family – the good parts of this country and the kindness that I have been shown. My two-and-a-half year old nephew can say Afghanistan, and he knows his aunt is in this place which is far far away but she is fine. The explosions and shootings – yes, they coexist, but if you allow your perception to be clouded by individual acts of violence, you lose sight of the beauty of mankind eventually. 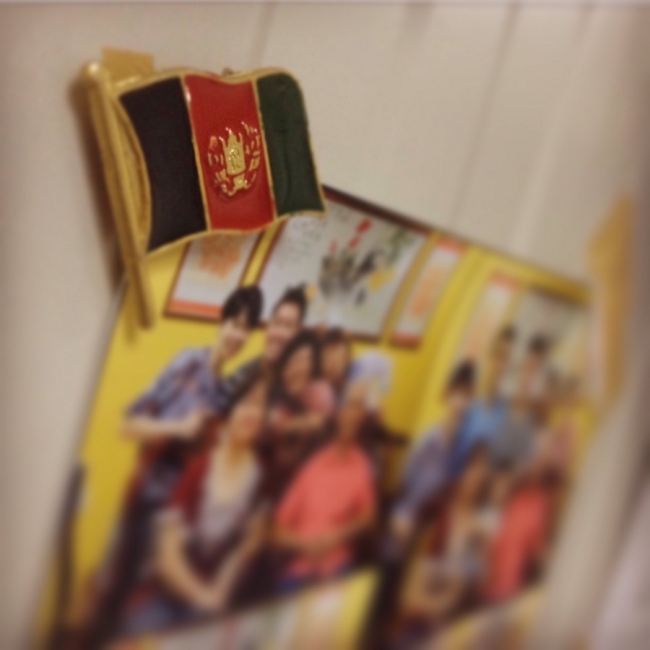 I will be leaving Khost in two weeks, and I know that I will miss this place and the people when I do. And, I will not hesitate to return if the opportunity arises (much to my parents’ despair I am sure!). There is a Chinese saying that goes “Raising children for a 100 years, worrying for 99 years”. Being parents is an immensely challenging task. And I am certainly not making it any easier, that’s for sure. I am sorry that instead of me taking care of them in their golden years, now they have to in turn worry about their grown up daughter and Ebola, and Sierra Leone, and explosions and shootings in Khost and who knows what next. Constantly. I want to express my deepest gratitude to my parents for their unconditional love and support despite not completely understanding or agreeing with my decisions. Being a typical Asian family, we are not very expressive in verbalizing our feelings but even without words, I know they are behind me. They say “One day your life will flash before your eyes. Make sure it’s worth watching”. I may not have turned out the way you thought I was going to be, but thank you for letting me try to be a daughter you can be proud of. Touching story! Thanks for sharing. Hello, miss wong, thanks for your sharing. Actually i am plan to apply msf but i dont know how to apply. I am a nurse working in operation room. My name is ki siew fei and i am came from malaysian.